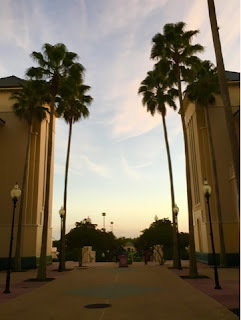 The ESPN Wide World of Sports Complex is a huge venue with dozens of fields, courts, etc., that plays host to national and international sporting events. It is also the spring training home of the Atlanta Braves. Tonight, we were there to kickoff a baseball tournament that our son is playing in. I took this shot just inside of the main entrance.